So many of our health complaints stem from what we eat or don’t eat, but that isn’t the whole picture. Often times we resort to unhealthy food habits when we are unsatisfied with other areas of our life. Let’s get your life in balance by starting with food and then help you discover the power you have with all areas of your life. 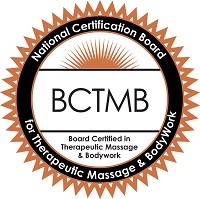 I am also a state registered, nationally certified Massage Therapist. I have been practicing massage since 2009. Please visit my services and description page for my specialties. Welcome to the next step in your life’s transformation! As a Holistic Nutrition Health & Lifestyle Coach I will assist you in making healthy lifestyle changes that actually last. My office is located in downtown Longmont, Colorado. We can meet in person or consult via phone. Kids are welcome in my office during our Health Coaching sessions to accommodate your busy lifestyle. Together we can figure out the best way to make lasting behavior changes so you can reach your goals and integrate them into your life. No more yo-yo dieting or giving up on your New Year’s resolutions by the beginning of February! Welcome to the next step in your life's transformation! As an integrative nutrition health coach I will assist you in making healthy lifestyle changes that actually last.